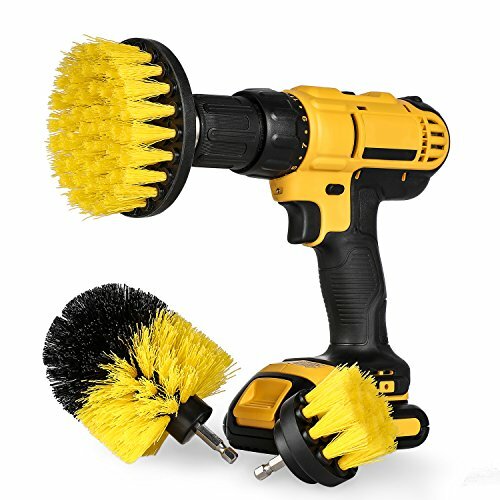 Three piece scrub brushes combo kit fits all cordless drills and impact drivers. Durable high quality nylon bristles are great for scrubbing and cleaning fiberglass, porcelain, linoleum, tile and grout. Brush have a quick change shaft which will allow it to fit into your impact driver or cordless drill. This is the perfect kit for bathroom cleaning, you will be able to clean grout lines with ease with the flat brush. This drill brush attachment set includes 3 brushes with different sizes and shapes to fit into most of the cordless drills, such as Dewalt, Bosch and Makita etc.